I played just about every major release under the sun in 2013 -- but naturally, some of the smaller titles escaped me. Interested in seeing what I may have missed, I shared my total "games played" list the other day, and was met with a pretty interesting inquiry from a reader, simply stating, "No Valdis Story?" I'm really glad they brought it to my attention. 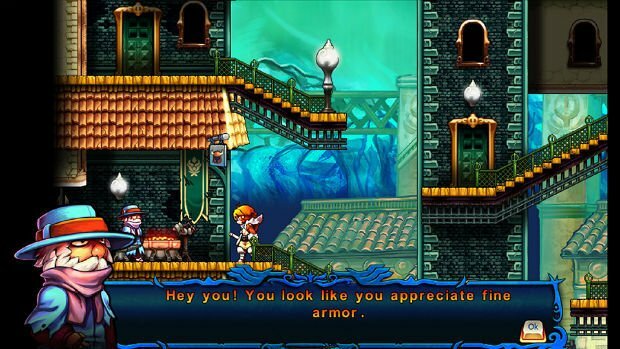 The first thing you'll notice about Valdis Story is that it's a beautiful game inside and out. The sights and sounds are gorgeous, and I fell in love with the setting almost immediately as a result. The soundtrack in particular deserves a special shout-out. The music starts off incredibly intense right off the bat, and doesn't really let up throughout. I don't praise music often in games, but this is one case where I'd easily buy the soundtrack. Valdis Story's setup is simple, but there's a lot of depth to its tale. 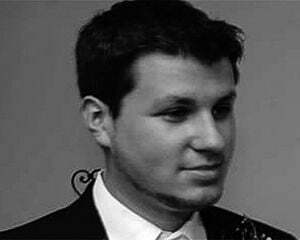 You'll start off the campaign as Wyatt -- a ship captain who has set sail to track down his father. Unfortunately he doesn't get very far, as he's suddenly attacked and dragged into a city below the surface, separated from his crew. This is where the universe of the game starts to show its true colors, with a story that's framed from the perspective of a war involving angels and demons. The great thing about Valdis' take is that it's not your typical contrived story of "good vs. evil." As you slowly make your way through the game's world and battle both angels and demons, you'll immediately see that it's more of a morally gray framework, which makes for a far more interesting experience. It also helps that the story isn't in-your-face all the time and doesn't bog down the pacing, as most of the intricacies are revealed by way of optional pieces of lore. This keeps things more action-oriented, which is a good thing. 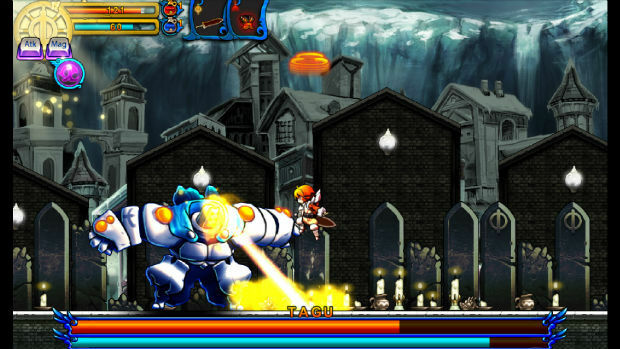 Gameplay-wise, Valdis is an action platformer as well as a Metroidvania exploration game. There's an open world to explore (complete with a very easy-to-read map), with hidden paths, new abilities like wall-jumping, and all of your typical RPG-like progression trappings. There's a lot of little nuances that make it more enjoyable however like the ability to grab onto ledges, and it doesn't feel like your character is limited right out of the gate as seen in a lot of other Metroidvania games. You'll have the ability to tackle the story with either Wyatt himself or his crewmate Reina. It's basically the same narrative (barring character specific dialog), but both have significantly different playstyles. Wyatt commands a more deliberate combat style while wielding light and dark magic, whereas Reina fights with her fists, and uses speedier spells like creating clones and buffing her attack speed. This all plays out wonderfully, because where Valdis Story separates itself from many of its genre competitors is its combat mechanics, which are far superior to many other titles in the same arena. Simply put, combat is smooth with either Wyatt or Reina. Melee proceedings are fast and fluid, and the controls are precise. You'll start off with the power to use light and heavy attacks as well as the ability to block, but as the game goes on you'll have access to more technical maneuvers like dashing, air stomping, and skill canceling. The latter move blew me away, because canceling allows you to dash out of other abilities quickly, so you never get into a situation where you get hit and feel like it's the game's fault. 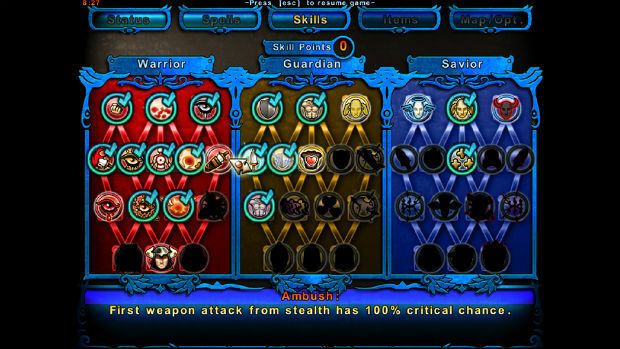 You can also make use of the game's combo system, as well as the ability to string multiple kills together for bonuses, which can be further augmented with your chosen skillset and passive abilities. Tiny little dust effects while jumping, or "clone" blurs when using some attacks add an insane level of detail to Valdis that's not typically shown in an indie game like this. It also helps that buffs and debuffs show up plainly on your character, so you know where your situation stands at all times. My only gripe is that you can't attack directly after grabbing onto a ledge, but it's not a dealbreaker. The magic system is done as equally well as melee, and it's done in a way that makes it feel more active than most other games. To use a spell, you just hold the right trigger and press a directional button, which will initiate the equipped spell accordingly (with d-pad magic slots for up, left/right, down, and an aerial move). You can change slots at will as you earn more spells, and like the aforementioned buffs, every effect is easy to view. I found myself using magic more in Valdis Story in other games as a result, as it's really easy to cast on the fly. It helps that the RPG elements progress rather quickly to keep you interested, and enemies both drop loot as well as grant XP. In addition to finding and equipping new gear, you'll also be able to level-up and earn new skills through three skill trees -- Warrior (offense), Guardian (defense), and Savior (spellcasting). This allows you to customize your character the way you want it, or min-max to your heart's desire. It also adds a point to killing every enemy in sight, which keeps you in the action constantly without dreading fights. There's a lot to unlock skill-wise, so it will take repeat plays to get everything. Having said that, there's four levels of difficulty, and two characters available now with two more coming later as a free update. There are also tons of optional collectibles and encounters to find on top of a 10- to 15-hour single playthrough, so there's a lot off content to discover in Valdis Story. I had no idea what to expect from Valdis Story: Abyssal City, but I was pleasantly surprised. It simultaneously succeeds as both an action platformer and a Metroidvania with RPG elements, and it's a must-play for fans of either genre. I'm already excited to play as the other two characters eventually, but I also can't wait to see what the future holds for this franchise long term -- because there's a lot to build on.